Finger Gesture Launcher is a very handy and useful app, if you usually use several applications at once, such as gallery, play store, internet, Facebook, Whatsapp and many others. 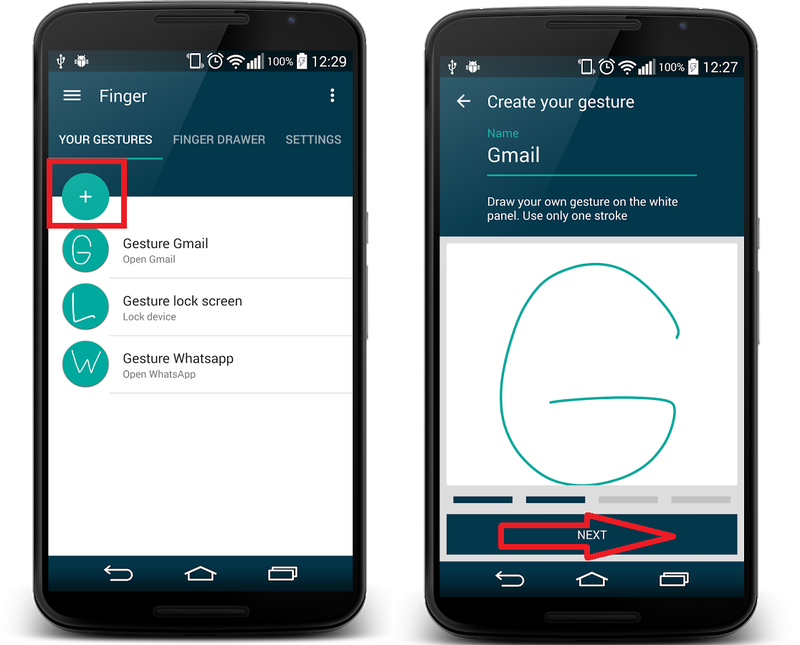 Finger gesture work shortcut key to open any app, allow you to jump from one app to anther by simply finger gesture on the screen. In one word, open everything in your phone by finger gesture. The app is free and available in google play store. 2. Open the app click on “+” and give a app name for ex. gallery, draw your gesture and tap “next” and do the some for 2 times. 3. After this you will get some option choose “Open Application” select gallery…. 4. There is round circle on your screen tap on that and draw your gesture to open a app. 5. Like this you can make any application shortcut gesture to open.